I have a confession to make, I am a recovering magazine addict. I couldn’t help it, they called out to me. In fact, for years, I was a closet foodie who couldn’t cook. Every time I went to the store I had to buy a foodie magazine. I oohed and awed over the recipes, clipping them out … but I didn’t cook. Beyond your basic Top Ramen and nuking veggie burger I was lost. Of course, buying magazines one by one got far too expensive, so I got a few subscriptions. 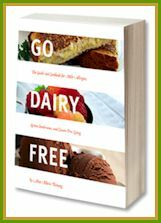 Then my husband came into the picture, and he started finding free subscriptions for me (on the ground that I actually start trying the recipes!). Oh, the moral hazard of it. We are minimalists … no storage unit, no garage; just two neat and tidy closets and a largepantry full of food and necessities. Yet, that pile of magazines follows me everywhere. I vowed that I wouldn’t enter 2009 with those 200+ magazines I still had milling about, but here they sit. He went through Live.com’s Cashback; you have to sign up, but we have been using live.com for a long time now without a problem. Once signed up, find Magazines.com, and go to it (be sure to go there through your Live.com account to get 25% cashback). 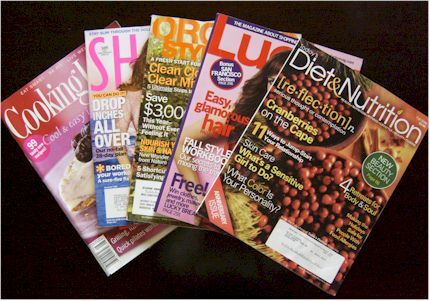 Once on Magazines.com, place Cooking Light in your cart and use the coupon code wintermags on checkout. You will pay $13.00 for one year, and then get cashback from Live.com for an end price of $9.75. Now, how about a freebie? So, I found a free 1-year subscription to Body + Soul Magazine, no strings attached. Do this quick survey, which signs you up for their RewardsGold club, and gives you the choice to get this free year subscription. No credit card required, it really is free and the survey is very short and painless! I have never actually bought this magazine myself, but signed up for the free year, and am looking forward to giving it a test run. Since stores can vary just about everywhere, I don’t post up local deals I find, but will keep posting online deals that I think fellow foodies might like. Is this a good idea? Would you be interested? 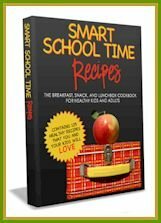 My two new recipes this past week weren’t post-worthy (not yet anyway), but there are more recipes (and giveaways) to come! In the mean time, wish me luck in finally cleaning out these magazines before my new subscriptions start to arrive! Ugh, I hear you on the magazine thing. I have so many that they pile up before I get a chance to read them all! And I always cut out ideas, but I cut out so many that I get overwhelmed! Yes! I would be interested! Specific request: where do all of you frugal foodies find good bulk deals online? I am a magazine addict too! Thanks for the link! Fellow magazine addict here. I can’t help it. I just picked Cooking Light back up after letting it drop. But really $10 for a whole year, I couldn’t refuse. Body & Soul and Everyday Food sometimes send coupons out to get both mags for just $10. Thats too funny I am a recovered magazine addict myself!!! I used to spend at LEAST $10 per week on magazines! Then I went to just 2 subscriptions + the occasional magazine purchase. Now I dont buy ANY and I am so happy. I got Runners World for a gift at Christmas and that is the only one I have now. PS- Added your fabulous blog to my blogroll! Oh my gosh, I wish I had all those magazines! Wish we could get them here but most don’t do overseas or charge shipping which is more expensive than the mag itself. But sometimes lucky and we get a few of these mags bought by shops that outdated mags by weight. I then go crazy and buy a huge pile for next to nothing. I *was* a reformed cooking-magazine addict, but recently fell off the wagon during a school fund-raiser. Now, I’m greatly enjoying a few of my previous subscriptions again and don’t feel so guilty about all the wasted paper as long as I keep recycling the magazines when I’m done! I was a magazine addict also. The problem with the old magazines is that musty smell. I would sneeze when leafing through them. I got rid of them. Now I borrow the magazines from the public library. It is much easier now to go online to Epicurious to find the old recipes. oh.. thanks for stopping by my blog. So glad that I found yours too, you have so many amazing recipes!!! I totally feel ya on the magazine loving. If I wasn’t so frugal, I’d be subscribing all over the place! Now i just read ’em at the barnes & nobel down the street or at the gym! yayy!!! Count me in as another magazine addict. I’m so sad that O at Home, Cottage Living and domino are folding. If you’re even looking for crazycheap magazine subscriptions though, check out http://www.magazinepricesearch.com. It searches all the online sites to find you the best deal. free and cheap- my two favorite words! Oh my Gosh! I’m a magazine addict too. Ususally, I only buy them when flying, but it’s something I need to work on. I bought four during my last trip. I love magazine, too, but only get three – Vegetarian Times, Veg News and Peta. However, when I travel I load up at the airport, just like Liz. Can’t seem to resist. I am also looking at clearing out my foodie magazines. But I’m also a sucker for second-hand cookbooks, so I have a heap of those as well!